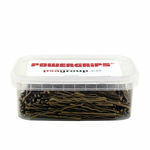 A choice of 3 colours of ultra-strong hair grips from Powergrips. Powergrips 2" Waved Grips are made to manage all hairstyles and are ultra-strong to ensure they can take any job on! 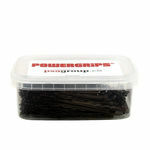 They are an essential bit of kit for any salon. They are available in black, blonde or brown and in packs of 250 or 500.